Dave Tomlinson is no stranger to controversy. The author of The Post Evangelical was recently described as a “liberal evangelist”. It’s a title the vicar of St Luke’s is comfortable with. Even so, his answer to my first question is surprising. Is it possible to follow Jesus and not realise it? I think so. One of the stumbling blocks in my mind and it’s embedded into our consciousness is innies and outies – people who are on this side of the line are Christians and people over there are out. If we look at Jesus it was more simple. He called people to follow him. He didn’t ask them to sign up to a doctrinal statement or agree to principles. But some people chose to follow Jesus while others rejected him, didn't they? Yes and that’s true today. But what I’m saying is it’s about people following the way of Jesus. Christians originally were called people of the way. I like that idea because is suggests process rather than destination. There are people who follow the way that Jesus embodied and passionately portray God’s love in the way who don’t even know about Jesus or haven’t had an encounter that’s made them think about him. If you believe that God’s spirit is at work in the world then people can be on a journey without necessarily having the words or concepts or being part of the Christian club. What is your new book How To Be A Bad Christian about? 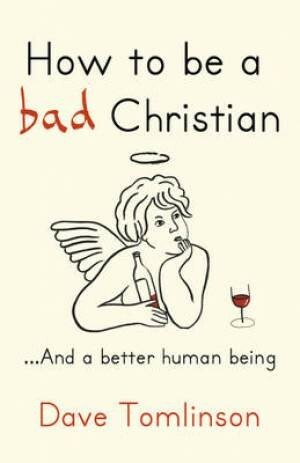 The title and the very phrase ‘bad Christian’ is something of a tongue in cheek way of expressing something more profound. What I’m exploring is what is Christianity like when we strip it of all that paraphernalia and say ‘when you really come down to the root core of it what is it about?’ I’m saying it’s about following the way Jesus showed us and exemplified. Take someone like Kay who is one of my parishoners. She never appears in church. She’s a single mother on benefits living in social housing. Her house is constantly full of local waifs and strafes. She feeds them and is a big mother figure to all kinds of people. There’s lots of people like Kay who are Jesus figures in their own way. To me they are following the way of Jesus without necessarily thinking of it in those terms. My model for this is Jesus himself who didn’t as far as I can see ever ask people to sign up to a theology or doctrine. He called people to follow him. You take someone like the rich young ruler who said what must I do to have eternal life. We all know the standard answer any good sound evangelical would give to that but Jesus said keep the commandments. He never got round to getting him to pray the sinners prayer. Have you ever prayed the Sinner's Prayer [definition] with anyone? I have done that in the past. The problem with the Sinner's Prayer approach is it focuses everything on everyone making a crucial decision that moves them from outside to inside or no faith to faith. It’s a deceptive thing because the truth is our lives are made up of a whole series of decisions and I think that lots of us who have gone through that model have found we’ve had all kinds of doubts and questions for years and years. It’s not like you suddenly go from unbelief to faith, it’s more of a journey. Likewise there are people who have never prayed a specific prayer but have let Jesus into their life in practice. For me it’s just too crude a system. What else do you think is wrong with typical evangelism today? A lot of so called evangelism is so pre packaged. It’s like buying a wardrobe from IKEA; you get the same thing in the same box. People need to be treated as individuals. The book is about moving away from the flat pack approach to Christianity toward something more open and creative. It’s dealing with people and situations in a more open and sensitive way, rather than putting pieces together in a set formula. Have you written the book for Christians or non Christians? If people in the church look at the book and go 'tut tut it’s not very sound' my response is 'this isn’t for you'. I’ve written it for people who are never going to come. Somebody described me at Greenbelt this year as a liberal evangelist and I can sit comfortably with that. Some people may be surprised to learn that despite your criticisms of church culture, you’re an ordained minister in the Church of England. Do you fit comfortably within it? 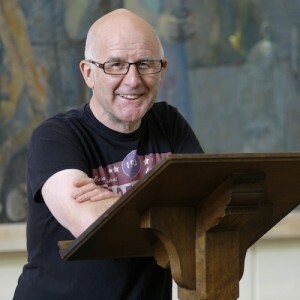 I was a house church leader for many years and I’ve gone through a journey of various aspects of the church and all along the way had various frustrations and questions. I had a conversation with the Bishop of London in the mid 90s, about whether my home was in the Church of England - which seemed like a crazy thought given my history. At that point I was running Holy Joes Church in a pub. He said to me ‘Dave you’re going to find the Church of England very frustrating and you’ll be critical of many things in the Church but the Church will benefit from your criticism’ - which was a very generous thing to say. You know what? He’s right. I have found the Church of England frustrating in many ways but I have found a home here. Is there anything you do that's very different to other CofE churches? I think we’re a good example of what the Church of England can be at it’s best, which is a place with doors wide open that say we are a church of this community. We’re here to serve you and be with you and be for you whatever you need. This is all part of the background of where this book is coming from. I look at the parish as being a community of Bad Christians. There are lots and lots of people who are doing amazing things, ordinary kind of acts of love. The beauty of the Church of England is the way the parish system has been historically established; the church for all people. I don’t expect them all to come next Sunday, they probably never will but that doesn’t mean I don’t include them in as being people I view as parishoners, part of my flock and people I want to serve. I often tell the people who do come on Sunday that the other 12,000 people who surround us are our bigger family. What's the best Christian book you've ever read? Oh dear, best book, very difficult, I read masses of books and love so many. I love the writings of Frederick Buechner - all of them. Sara Miles' Take This Bread is one of the most enjoyable reads I have had - the story of her conversion through taking communion in St Gregory's in San Francisco. You totally let him off the hook. His views are completely un-Biblical and very dangerous. Jesus said "I am the way, the truth and the life. No one comes to the Father except through me." - by distorting this, Dave Tomlinson is robbing people of their chance of salvation. these views are very religiously provocative and evangelically unorthodox, yet I cant help feeling they echo something I have felt and been wondering about in my own heart. What springs to mind is the sermon on the mount which does not seem to fit into a black and white frame of religious correctness. An article that ducked the issue. Jesus said to people, good ( having no doubt laudable lives in many ways) and bad ( moral outcasts) " follow me " - not my way , but me. They knew the call was to Him. The call of the early church was the same. The world still needs Jesus, not a powerless reductionism. Interesting read. I have long thought that we may be very surprised who we do find in God's Kingdom. Jesus does seem to lay a greater emphasis on discipleship being demonstrated in deeds as an expression of God's love. God judges people according to the light given them, (can't remember the reference). I suspect that people of below average intellect or those with learning difficulties might find the complexities of some aspects of Paul's teaching for example difficult to understand. My own belief is that we should focus more on how we live our lives as demonstrations of God's love and less on dotting the 'i''s and crossing the 't's in matters of Biblical doctrine and interpretation. Christians may always have differences of opinion on these matters. They always have, right from the start.